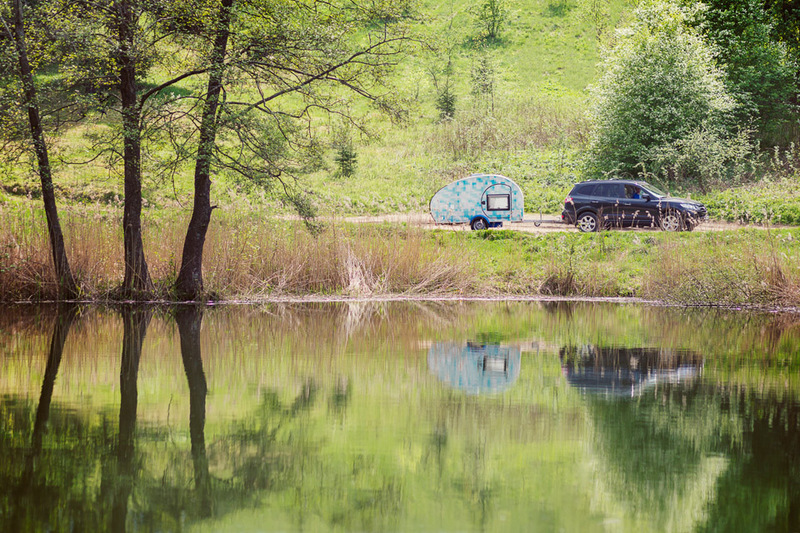 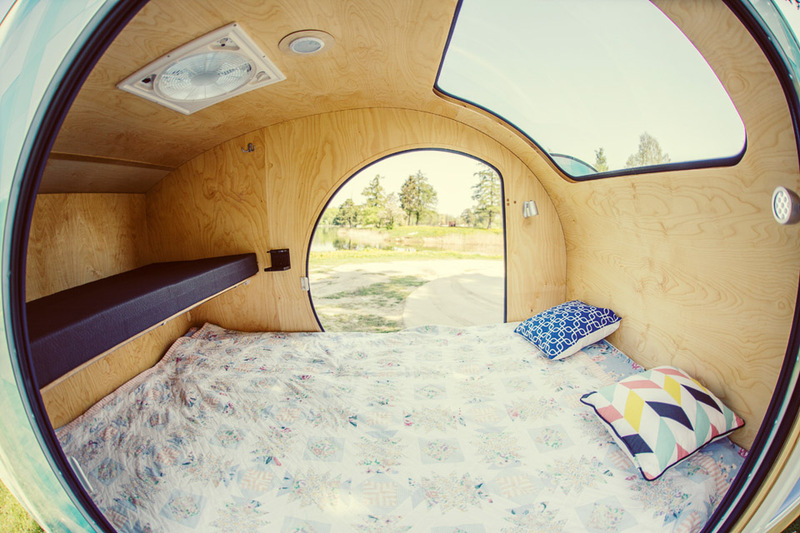 Compact campers perfect for sleep and shelter. 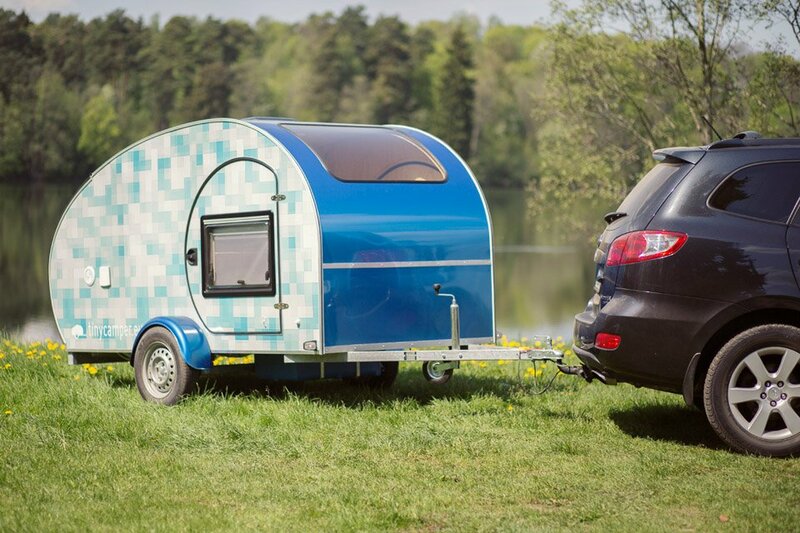 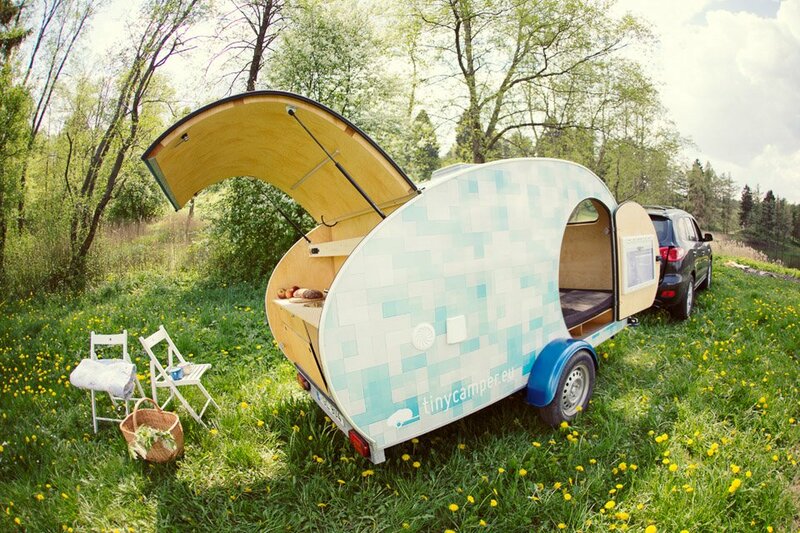 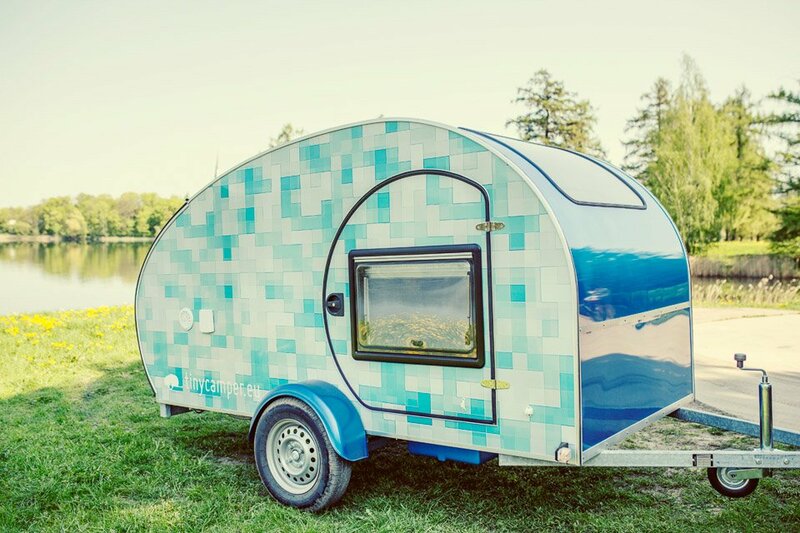 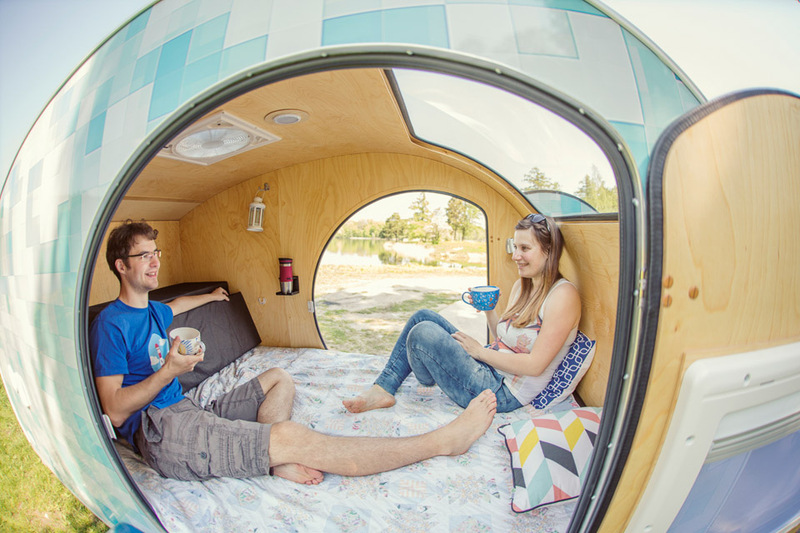 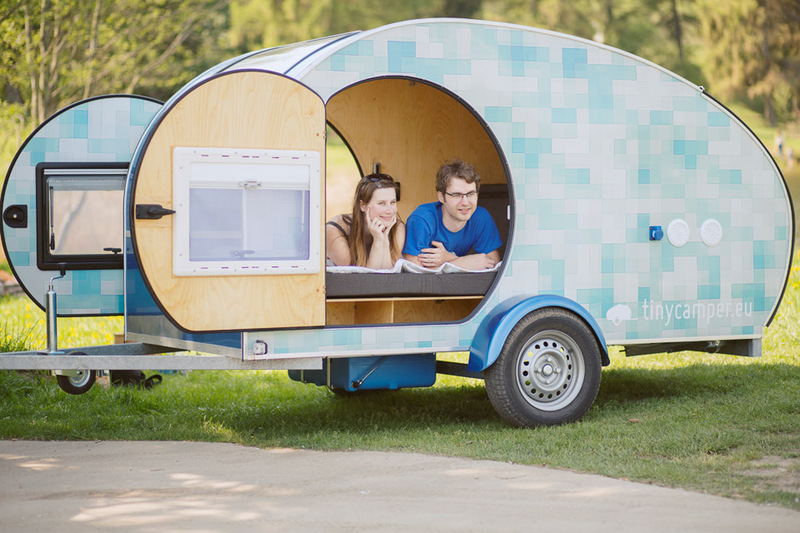 The Tearcuby model shown here offers a queen bed and a kid-sized bunk, lighting, power sockets, a ventilated hatch, and a rear kitchen with a countertop, an optional sink, and gas tank for a grill. 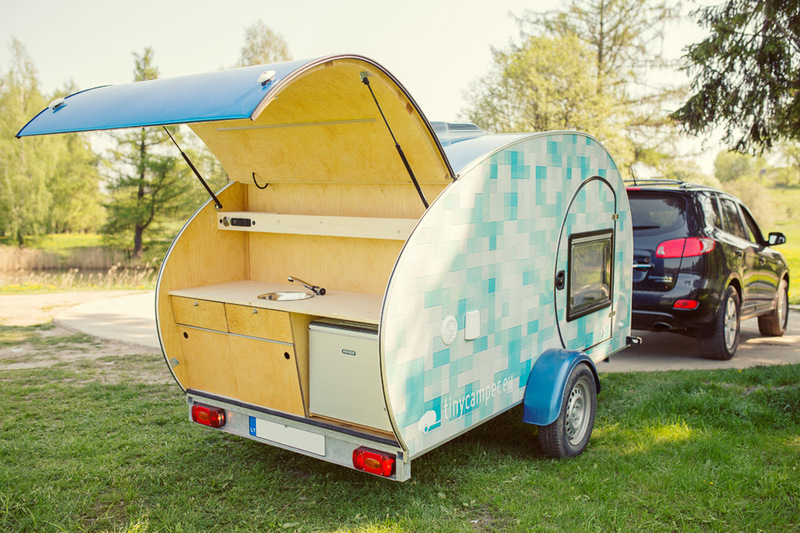 Available in Europe only.